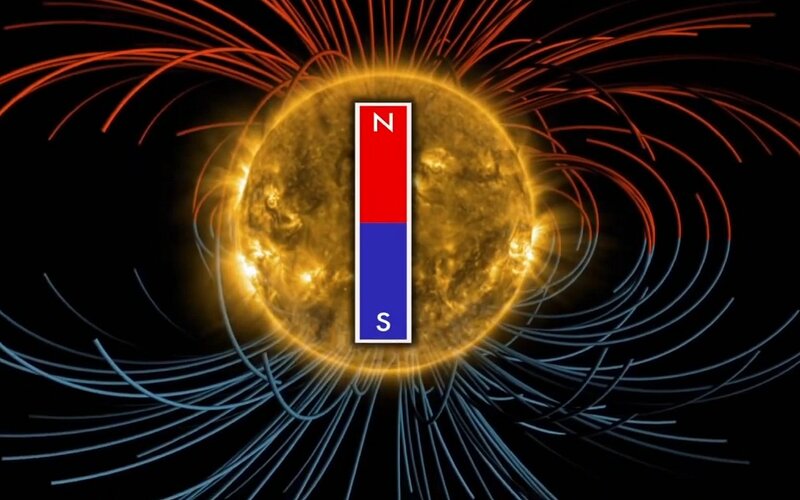 The sun’s magnetic field is about to reverse its orientation so that north becomes south and south becomes north, This magnetic field flip occurs every 11 years. 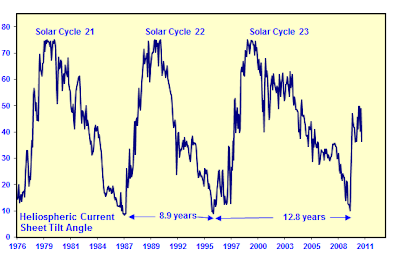 The sun's magnetic field reversal takes about 3 to 4 months for a complete field reversal. 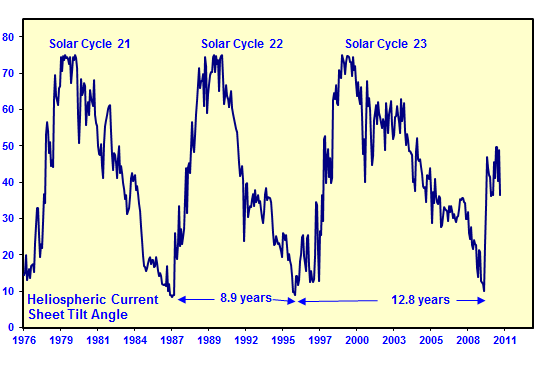 "This change will have ripple effects throughout the solar system."